Investment cast from tool steel, then heat treated for consistent release and reliable operation. Three-way adjustable, steel triggers provide a clean let-off, free of creep and overtravel. Completely adjustable for pull weight, sear engagement and overtravel. 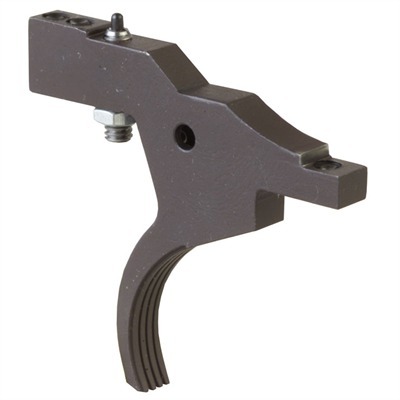 Drop-in fit duplicates factory trigger installation, uses existing safety and pivot pin; installation takes only minutes, requires no modification to action or stock. SAV-1 has pull weight adjustable from 3 lbs. down to 11/2 lbs. Mfg: Rifle Basix SPECS: A-2 tool steel, black, matte finish. SAV-1 fits Savage 110 long action and 10 short action rifles. Includes return spring and instructions.